The Trump administration has cut all funding to the United Nations Relief and Works Agency for Palestinian Refugees (UNRWA). Created after the 1948 war which displaced 700,000 Palestinians, UNRWA works in collaboration with local governments to provide direct relief and resources aiding economic reintegration. The agency provides food access, education, health clinics, employment and housing services for Palestinians across the West Bank, Gaza, Jordan, Lebanon and Syria. Previous administrations have viewed the agency as critical to stability in the region. 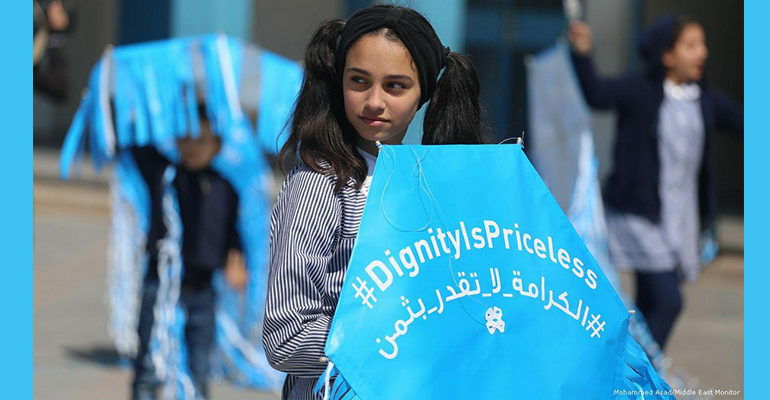 The State Department, Pentagon and U.S. intelligence agencies have opposed defunding UNRWA. Security experts in the region have called the “de-registering” of refugees disastrous, worsening the humanitarian situation in Gaza. Both U.S. and regional experts have warned of increased violence undermining security in the region as a result. Months after announcing it was withholding $65 million of a $125 million aid package earmarked for the agency, the administration has decided to end all funding – while maintaining the nearly $4 billion in mostly military aid to Israel annually. Defunding UNRWA is part of a larger plan by the administration to reduce the number of Palestinians recognized as refugees. Leaked emails reveal Jared Kushner is trying “to disrupt UNRWA” and remove Palestinian refugee rights from the negotiating table. The plan is to reduce the number of Palestinians recognized as refugees from 5 million to less than a tenth of that number – effectively eliminating the “right of return” for most Palestinians. These actions also tie into the administration’s recent move of the U.S. embassy to Jerusalem. The recognition of Jerusalem as Israel’s capital and the defunding of UNRWA is part of a broader policy shift by this administration to reshape Middle East policy and specifically the Palestinian-Israeli peace agreement. 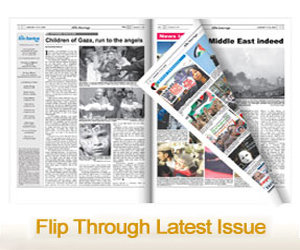 The right of return is considered a fundamental issue in negotiations for a peace agreement. However, coupled with the U.S. embassy move to Jerusalem and recognizing Jerusalem as the capital of Israel further de-legitimizes the U.S.’s credibility as an honest and fair broker of peace negotiations. The administration’s actions not only dismantle peace negotiation efforts, it clearly and further swings the pendulum in favor of Israel. The impact of this decision will have lasting ramifications crippling U.S. diplomatic efforts beyond the term of this administration and will damage the U.S.’s ability to serve as a mediator in future international conflicts. – An opinion by the Muslim Public Affairs Council, a Washington, D.C.-based national advocacy group.